Norway’s new chief advocate for children was preparing this week for her new job that she’ll take over in June, and clearly looking forward to it. Dr Anne Lindboe, a pediatrician who’s worked extensively with children’s rights and cases of child abuse, is Norway’s fifth barneombud and appointed by King Harald to serve for the next six years. 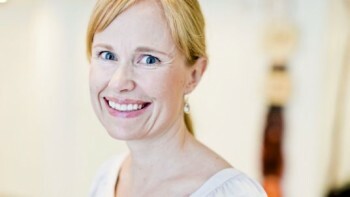 Lindboe has been a doctor at Oslo University Hospital – Ullevål and carried out research at the state public health institute (Folkehelseinstitutt). She also works with the state-run Barnehuset, which works with abused children, and is often involved as a court-appointed medical expert in child abuse cases that wind up in court. She was selected by the government minister in charge of children’s issues, Inga Marte Thorkildsen, who was dealing with her own challenges this week after involving herself in a case of child abuse. Thorkildsen got help from a panel of eight children in the screening process of finalists for the job now being vacated by Reidar Hjermann, who had served the maximum of two six-year terms. The children clearly supported Lindboe, who admits to having some childish traits herself. “If I didn’t I probably wouldn’t be here today,” she told newspaper Aftenposten. The 40-year-old Lindboe said she started working with children towards the end of medical school and had “good contact” with the young patients. Lindmoe has three children herself, aged 10, eight and two. In addition to being a mother, she now thinks she has “the most important job” in Norway.